by Michelle Pellizzon for Thrive Market World Health Organization first defined the term “self-care” 23 years ago, as follows: “The activities individuals, families, and communities undertake with the intention of enhancing health, preventing disease, limiting illness, and restoring health.” Since then, the meaning has devolved. Now “self-care” is more often associated with a luxurious trip to the spa or an expensive aromatherapy massage. The thing is, pricey indulgences like spa treatments aren’t necessarily synonymous with self-care. Basically any intentional, health-restoring activity that helps you be your best—mentally, physically, and emotionally—qualifies. There’s no one “right” way to do self-care. As long as you’re finding time to do something that nourishes your mind and body every day—you’re on the right track. What might be helpful is to distinguish self-care from self-indulgence. The former is taking an extra-long lunch break to go on a walk around the block during a stressful workday to help clear your mind, so you can be better at your job for the remainder of the day. The latter is taking a long lunch, and then blowing off the rest of work and taking the afternoon off without telling anyone. Self-care helps you cope with everyday stressors and nourishes you inside and out, while self-indulgence makes you feel good in the moment—but could generate more trouble for you in the long run. Another example: Say you rush to make it to a yoga class on a busy day, because you know it’s “good for you”—but then you spend the entire class thinking about how much work you have to do instead of decompressing. Feeling guilty probably won’t make you more productive afterward. Instead, what might be better—and a more apt example of self-care—in this scenario? 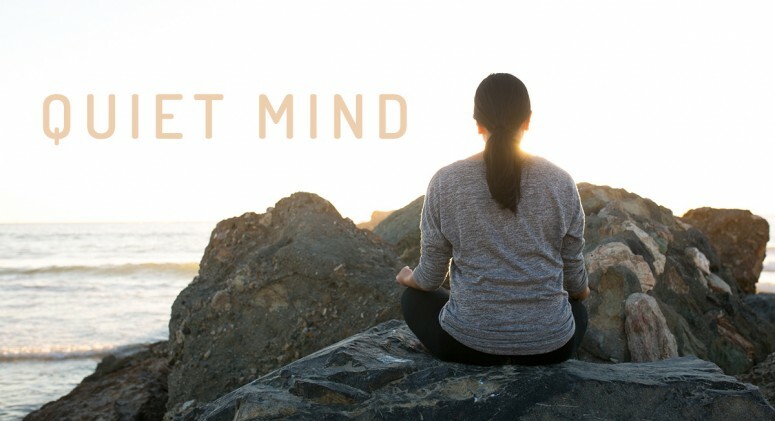 Skip the class, take a quick break, do a 10-minute yoga flow, and tackle the task that’s stressing you out. Bottom line, the most important thing to remember is: anything that makes you feel bad—or guilty, anxious, or stressed—for any reason, probably isn’t enhancing or restoring your health. That means it ain’t self-care, friend! And there’s no rulebook that can tell you what you need to clear your mind and recharge. It could be an in-depth meditation, or just five minutes to breathe deeply with no interruptions. And if you aren’t the type to ohm your way to mental clarity—that’s OK too. Maybe a massage, or a manicure, or a dance class, or, heck, a relaxing hour in front of the TV is more your speed. Figure out whatever does make you feel renewed, and do that. Here are 20 ideas for self-care rituals, as told to us by type-A perfectionists, meditating yogis, and everyone in between. Try out a few to find one that works for you, or get inspired by this list to create your own unique self-care practice. Create a morning ritual, like waking up a little earlier to stretch or make a full breakfast, that can be done without interruptions from emails, television, or other people. Allow yourself to move at a slower pace—you have the rest of the day to rush around! Listen to a favorite podcast or a book on tape during a long commute. Read for 30 minutes every night before bed. Turn on a favorite TV show, and enjoy without distractions. Schedule a phone call or in-person date with the people that are important to you. Keep a gratitude list: Write down what you’re thankful for, what you’re proud of, and the things that make you happy daily. Get physical. It doesn’t need to be intense, gut-busting exercise, but moving stimulates endorphin production, which makes you feel happier. Try nature. Spend time cultivating a garden, exploring a new hiking spot, or take a mini-vacation over a weekend to enjoy the fresh air. Cook and eat a healthy meal. Somehow food tastes better when you spend time making it yourself. Head to a specialist for acupuncture, massage therapy, bodywork, energy healing, or talk therapy. It might not be possible to do these activities daily or weekly, but for many, they’re necessary for de-stressing and preventing health issues. Listen to your favorite music and have a dance party. Oprah, Gwyneth Paltrow, and LeBron James all attest that regular meditation practice helps to keep them sharp. Want to try meditating, but aren’t sure where to start? Read this. Disconnect. Step away from social media and emails, quiet the constant influx of updates from your computer or phone. The first step to self-care that nearly everyone mentioned in our informal poll? Putting your phone on airplane mode.